La Boca is a neighborhood, or barrio, of Buenos Aires. It is located in the city's south-east near its old port. This is a port neighborhood with wood, metal and stucco houses which are painted in very bright colors. 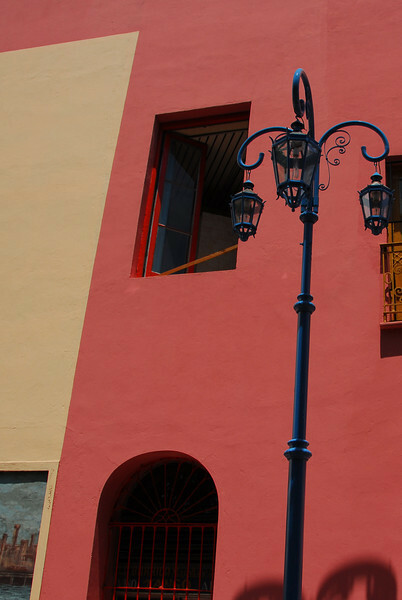 La Boca is now a popular destination and the multi-colored houses are maintained only for tourists. Many of its early settlers were dock workers from the Italian city of Genoa. According to legend, the houses were built and painted by the resident dock-workers who used leftover materials and paint from the ships to build and decorate their houses. Consequently, different colors of paint were applied to portions of their homes. Later, the neighborhood became home to several famous artists. The use of extremely bright color and the area’s artistic tradition was heavily influenced by Benito Quinquela Martín – one of Argentina’s most famous painters – who used his artwork as a form of social protest. Wall paintings and sculptures now decorate the main pedestrian street (the Camito). Performing tango dancers and artists selling tango-related memorabilia are now stationed along the Camito.